Expansins form a superfamily of plant proteins that assist in cell wall loosening during growth and development. The superfamily is divided into four families: EXPA, EXPB, EXLA, and EXLB (Sampedro and Cosgrove in Genome Biol 6:242, 2005. doi: 10.1186/gb-2005-6-12-242). 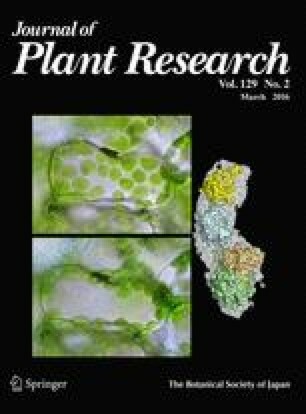 Previous studies on Arabidopsis, rice, and Populus trichocarpa have clarified the evolutionary history of expansins in angiosperms (Sampedro et al. in Plant J 44:409–419, 2005. doi: 10.1111/j.1365-313X.2005.02540.x). Amborella trichopoda is a flowering plant that diverged very early. Thus, it is a sister lineage to all other extant angiosperms (Amborella Genome Project in 342:1241089, 2013. doi: 10.1126/science.1241089). Because of this relationship, comparing the A. trichopoda expansin superfamily with those of other flowering plants may indicate which expansin genes were present in the last common ancestor of all angiosperms. The A. trichopoda expansin superfamily was assembled using BLAST searches with angiosperm expansin queries. The search results were analyzed and annotated to isolate the complete A. trichopoda expansin superfamily. This superfamily is similar to other angiosperm expansin superfamilies, but is somewhat smaller. This is likely because of a lack of genome duplication events (Amborella Genome Project 2013). Phylogenetic and syntenic analyses of A. trichopoda expansins have improved our understanding of the evolutionary history of expansins in angiosperms. Nearly all of the A. trichopoda expansins were placed into an existing Arabidopsis-rice expansin clade. Based on the results of phylogenetic and syntenic analyses, we estimate there were 12–13 EXPA genes, 2 EXPB genes, 1 EXLA gene, and 2 EXLB genes in the last common ancestor of all angiosperms. The online version of this article (doi: 10.1007/s10265-015-0772-1) contains supplementary material, which is available to authorized users. This work was funded by Lebanon Valley College through an Arnold Student-Faculty Research Grant and the Wolf Fund. The sequence data were produced by the Amborella Genome Project in collaboration with the user community.